I suffered from osteoarthritis since playing collegian volleyball. I really did a number on my knees and shoulders, but when you’re young, nothing bothers you. After retirement, my knees and shoulders got progressively worse. I met Dr Toman three years ago. Two knee replacements and a shoulder replacement later and I’m as good as new. Dr Toman moved his practice to Boca Raton from southwest Florida. When I could no longer stand the pain in my right shoulder, I knew what I had to do. The two and one half hour drive to Boca was well worth the effort. My shoulder was severe and the rotator cuff was shot. Dr Toman has always kept up with the latest innovations in orthopedics and discussed with me a reverse shoulder replacement. He sent my CAT scans to Canada where they actually built a custom shoulder just for me. Today, I am 3 months post shoulder replacement, and I am doing great. It is unbelievable. I never in my wildest dreams thought I would be able to do the things I am doing today. Traveling, boating, bike riding, swimming…I love it. I have one person to thank…Dr Toman. He runs a tight ship and is a perfectionist but isn’t that what every patient wants. 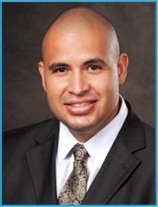 Dr Toman has a wonderful team of caring and dedicated staff. 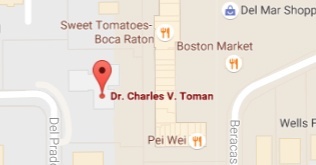 If you need orthopedic surgery go to the best…he is right in Boca Raton…his name is Dr Charles V. Toman MD.